After the grand success of Rajinikanth & Akshay kumar starer 2.0 now Rajini will be portraying a policemen in his upcoming movie ‘Darbar’. The first look of the movie has been launched. The poster consist of superstar Rajinikanth along with police instrument and equipment’s. 44-years old Filmmaker AR Murugados shared the poster of film on his twitter account and wrote “Here you go guys!!! 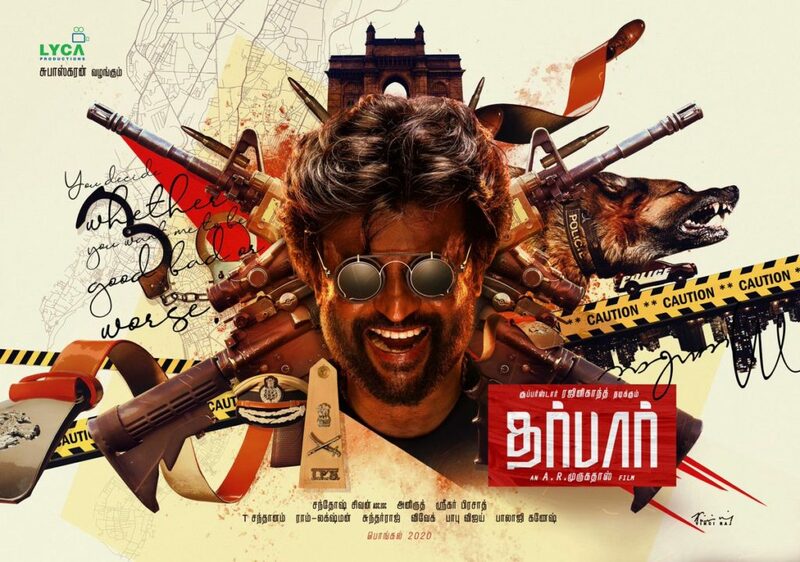 The first look of our very own Thalaivar in #Darbar @rajinikanth @LycaProductions #nayanthara @santoshsivan @anirudhofficial #sreekarprasad #pongal2020,”.